Counsel to Senator Kabiru Marafa and 141 others, Chief Mike Ozekhome (SAN), has called on the Independent National Electoral Commission (INEC) to withhold the Certificate of Return of all candidates of the All Progressives Congress (APC) in Zamfara State in view of Court of Appeal judgment that nullified their primary election. He also urged INEC to ignore claims by Zamfara State government that Court of Appeal Sokoto Division judgment has nothing to do with All Progressives Congress primary held on 7th October, 2018. 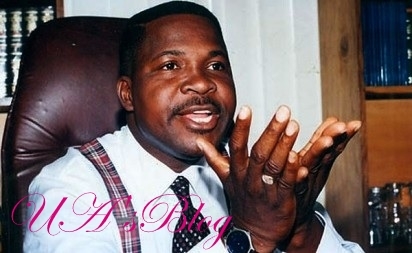 Ozekhome was reacting to the stance of Governor Abdulaziz Yari on the judgment of the Court of Appeal Sokoto Division, calling for a disregard of the ruling. In a press statement yesterday, the Senior Advocate of Nigeria said that the Zamfara state government was erroneously sitting as an appellate court on its own case by claiming that the judgment had nothing to do with election. Consequently, he said: “It goes without saying and indeed follows as the night follows the day, that everything that was founded on the said flawed APC primaries was null, void and of no effect whatsoever. “This is because the very pillar on which it rested has now legally collapsed by the judgement of the Court of Appeal, Sokoto Division. “The foregoing is in accord with law and simple logic as it is naturally impossible to place something on nothing and expect it to stand; it must collapse like a pack of cards. “To situate the aforesaid development in its true legal perspective, it follows that all the candidates of the APC who purportedly participated in the National and State Assembly elections held on 9th March, 2019, were never candidates in the eye of the law. “We beseech INEC most earnestly to note therefore that there is absolutely no legal basis for any of the APC candidates that allegedly emerged victorious from the said sham elections to be issued with any certificate of return,” the senior lawyer added.